I'm done. Bwah ha ha ha ha ha. Yes, I finished my third paper today. I actually stayed in my office until ten in the evening, typing from 5 pm to 10 pm straight. So yes, all my three papers for the semester are done. The only thing left for the semester is my revision of my Historical Linguistics paper, my revision of my Taipei conference paper, my revision of my CV, a presentation for my Discourse seminar this Friday, and a couple of consultation with my students. Now I am in the "Relaxed" mode. 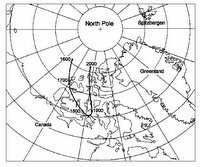 I found this thing in the news recently, that airline companies make "trips" to the North Pole, carrying cancer-striken children and showering them with gifts and everything, together with Santas and reindeer in the airline cabin. Read this article. For me, it sounds stupid how they take the pains to fool these cancer-striken children into believing that Santa really exists. As if that will cure them of their sickness. Well, I want to relax. So let me relax. Relaxed mode! that's the way to go man! you sound cynical about those "trips", but i wouldn't think of it as fooling the children into believing in santa. i want to think of it as just giving the children a good time given that their lives on earth are expected to be shorter than most. we know that the airlines can't do anything to cure their sickeness. but making them happy even for a few days is a good thing. if you have a child who has cancer and is chosen to go in one of these "trips", won't you be grateful? Yes I am cynical. Given my background, I value the truth more than mere "good time". I do not want people patronizing me and not telling me the truth. I've never read about Santa in the Bible, nor did I read in there that Jesus was born in the 25th of December. Why would I fool my cancer-stricken child into believing what is mere fantasy? If I want my child to have a good time, I'd give him a good time, but I would never ever fool my child into believing what isn't true.